Third-seeded Texas Tech’s defense dominated Gonzaga’s offense, sending the Red Raiders to the Final Four, 75-69, and spoiling another great season for the Bulldogs. After a 20th consecutive NCAA Tournament appearance over 20 years, the Gonzaga Bulldogs finished another splendid season Saturday the same way they have the past two decades — no title. College basketball’s highest-scoring offense met its match in the defense of third-seeded Texas Tech, which is going to the Final Four for the first time. The Red Raiders disrupted and dismayed the No. 1-seeded Zags 75-69 (box) in Anaheim. Gonzaga (33-4) missed 19 of 26 three-point attempts and committed 16 turnovers, including six by 6-8 forward Brandon Clarke (18 points, 12 rebounds), who was double-teamed and harassed nearly every time he had the ball inside. The Zags were held under 70 points for only the fourth time this season. The teams exchanged streaks and droughts throughout, never more than five points apart until the final two minutes. Up 68-62 inside the final minute, Tech center Tariq Owens sprinted to the corner to block the three-point attempt of Rui Hachimura, the Zags’ leading scorer (22 points), then batted the ball back to a teammate to provide the decisive possession. However, two referees watching the play didn’t see Owens was out of bounds. A putback at :11 by Zach Norvell Jr. cut the Red Raiders’ lead to 71-69, but Zags senior Josh Perkins inexplicably hit the arm of Matt Mooney while he was attempting to in-bound the ball. The dead-ball foul was a technical foul. Davide Moretti, who scored 10 of his final 12 points in the last four minutes, made both free throws and Tech kept possession, sealing the game and sending the Big 12 Conference champions (30-6) on to the Final Four in Minneapolis. Great game. Texas Tech was outstanding on defense and the non-call on Owens being out of bounds did not affect the game as much as Powell’s foul did. The Zags actually had the better assists-to-turnover ratio but gave the ball up at critical times. Both teams deserved to advance. Tough way to end an otherwise great season, a sad but too-often-repeated refrain with Gonzaga basketball. a sad but too-often-repeated refrain with Gonzaga basketball. You are referring to the numerous appearances in the NCAA Tournament by Gonzaga basketball? An achievement short of a NCAA Championship? I think that’s the point. Two years ago, I thought they were better than UNC. The final three minutes should be where the Zags shine. I had no idea about Tech’s defense until that game. Impressive. 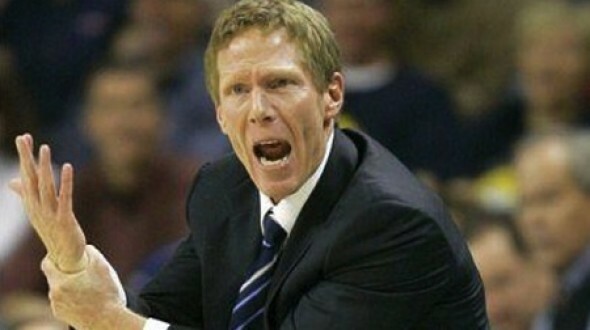 It is rumored (again) that UCLA will pull out all stops for Mark Few. His loyalty to Gonzaga is admirable. Lost Angeles does’t appeal to Mark Few. He loves his job and life style in the Great Inland Empire. At least it’s Spokane and not Pullman. Art, you trying to hard. Wow, missing 19 of 26 threes (26%) is the story of this game. hit 3 more threes and the game is Gonzaga’s. Does this further indicate they are a dominant team in a weak conference? Sounds like once again incompetent officiating changed the outcome of the game. Ho-hum.